Every week in July, we highlight one of our favorite products at Eagle Hardware Farm and Ranch! Each featured product is something you may need now as the dog days of summer arrive, it may be a new product we are carrying, an item that is on sale, or it just may be a product we think you plain just need to know about! 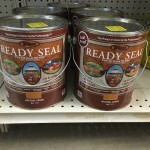 July 4 – Ready-Seal - This week’s Featured Item of the Week has to be one of the best wood preservatives on the market. If you have a new fence, outdoor furniture, siding or a deck, Redi-Seal is used by the homeowner and professional alike. Stop by and let us show you a sample and the available color options. 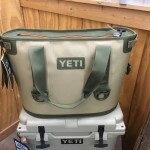 July 11 - Hopper 20 Tan – The soft side Yeti Hopper is quickly becoming one of Yetis top selling coolers. With the introduction of tan, the popularity continues. The Hopper 20 is the perfect road trip, picnic, or shopping cooler to keep cold things cold. Stop by and see this Week’s Featured Item of the Week, the Hopper 20 Tan. 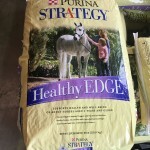 July 18 - Healthy Edge – This week’s Featured Item of the Week is Purina’s Strategy Healthy Edge. If you are looking for a balanced horse feed that has a high fat content and 12% protein, Healthy Edge is it. Whether you have a performance horse, pleasure horse, or pasture horse, consider Healthy Edge as an excellent option for your four legged friend’s feed. Stop by and we’ll show you. Too, this month, buy three, the fourth’s free! July 25 - Straw Hats – Summer is here and when that sun is up, wow is it bright. 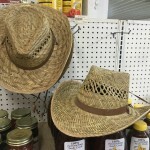 This week’s Featured Item of the Week is the hard to find yet highly popular straw hats. Practical and stylish, these hats are a must in the summer. We’ll see you soon as you try your size on. This entry was posted on Tuesday, July 5th, 2016 at 12:11 pm	and is filed under Garden, Gifts, Hardware, Horse, Hunting, Item of the Week, Lawn & Garden, News & Updates, Outdoors. You can follow any responses to this entry through the RSS 2.0 feed. Both comments and pings are currently closed.